Prosecutors have launched a case after receiving reports that uniform-clad Serb nationalist Chetnik supporters incited religious and ethnic hatred at a weekend rally in the Bosnian town of Visegrad. 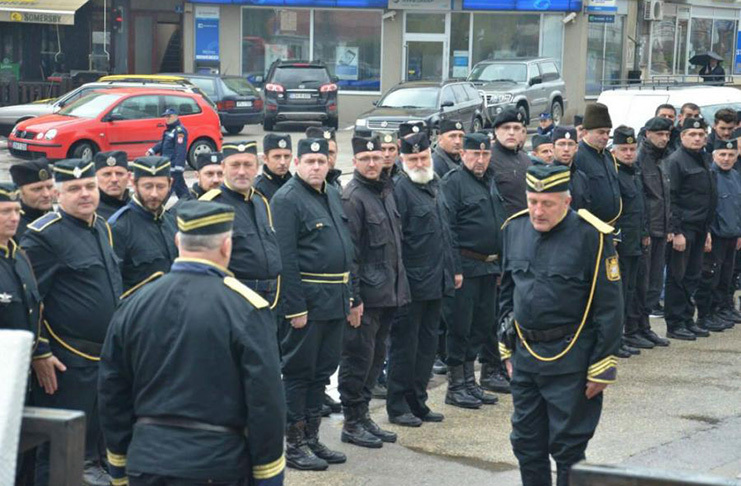 The Bosnian state prosecution announced on Tuesday that it is probing reports that members of the Ravna Gora Movement – widely known as the Chetniks – stirred up religious and ethnic hatred at their weekend gathering in the eastern Bosnian town of Visegrad. “The complaints refer to a criminal offence – provoking national, racial and religious hatred, discord and intolerance under Article 145a of the Bosnian Criminal Code,” the prosecution said in a statement. AFP news agency reported that the black-clad Serb Chetnik supporters were filmed at their rally on Sunday singing that “the River Drina will be bloody again”. Visegrad, which lies by the River Drina, was the scene of war crimes by Serb forces against Bosniaks in 1992. The rally is held every year to commemorate the day when Dragoljub Mihailovic, the leader of the World War II Chetnik movement, was caught by the Yugoslav Communist authorities in 1946. During WWII, his forces committed war crimes and other atrocities, including crimes against Bosniaks in the Visegrad region. Bosnian Security Minister Dragan Mektic said on Monday that his ministry would file a report on the Chetnik rally to the state prosecution. The US and British embassies in Sarajevo also called for an investigation. “We are appalled by reports of threats and nationalistic rhetoric during today’s event in Visegrad. Such behaviour is unacceptable,” the US embassy said on Sunday.